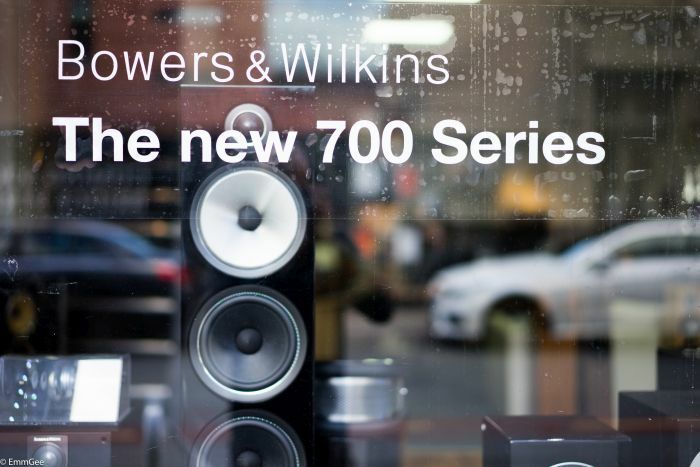 Bowers & Wilkins 705 S2 Series Stand Mount Speaker Stunners! When B&W announced that they were replacing their popular and classy CM range, we were pleased and intrigued as to how they would develop an already successful product. 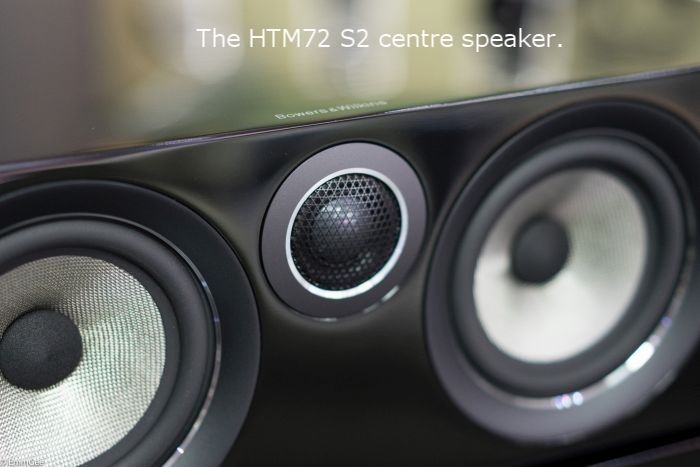 The more expensive CM models had the tweeter placed in a discrete housing on top of the cabinet, decoupling it from the main enclosure. This looks a bit odd, but has the happy effect of providing a much more open and airy soundstage by placing instruments firmly in a solid stereo image. 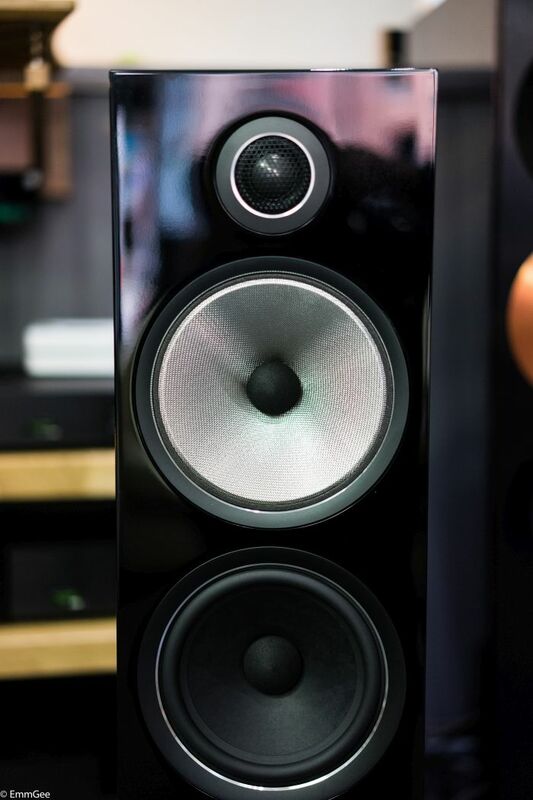 This is direct trickle down technology from the imperious and top of the range B&W 800 Series. 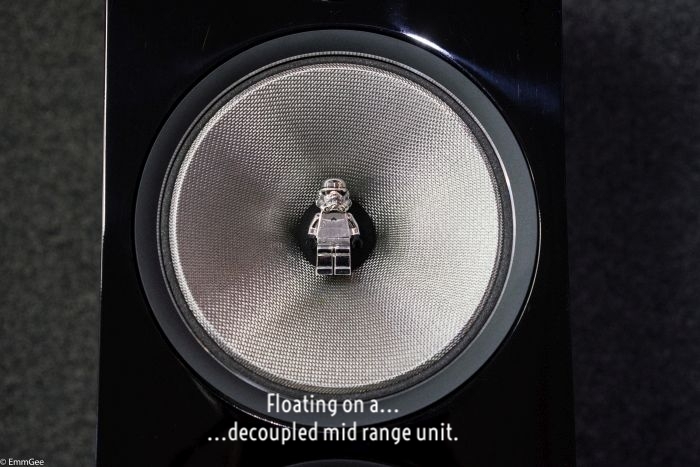 Curiously, we found them more difficult to drive than the non-discrete enclosure versions that required much more capable amplification. However the demanded increase in amplification (and source) quality was always rewarded well. 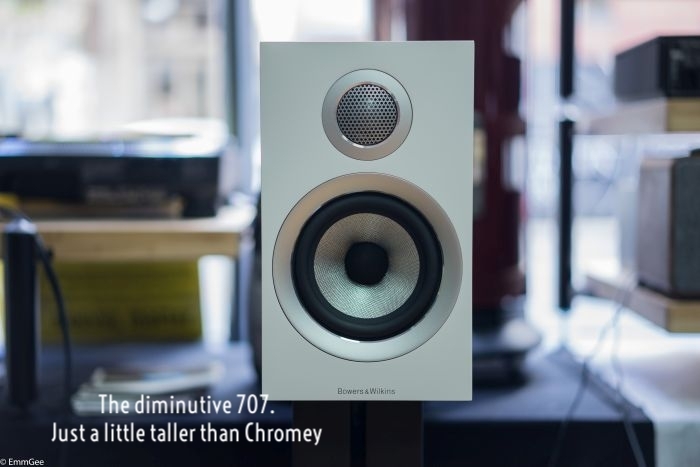 The Bowers & Wilkins 700 range has strong echoes of this former glory, in that the top of the range floorstander the B&W 702 and standmount B&W 705 (picutred) have an advanced version of the trick tweeter housing on top of the cabinet, plus a whole host of developments, not the least of which is the ‘Carbon’ tweeter itself. Colour choice remains the same at Satin White, Gloss Black and a very handsome Rosenut. 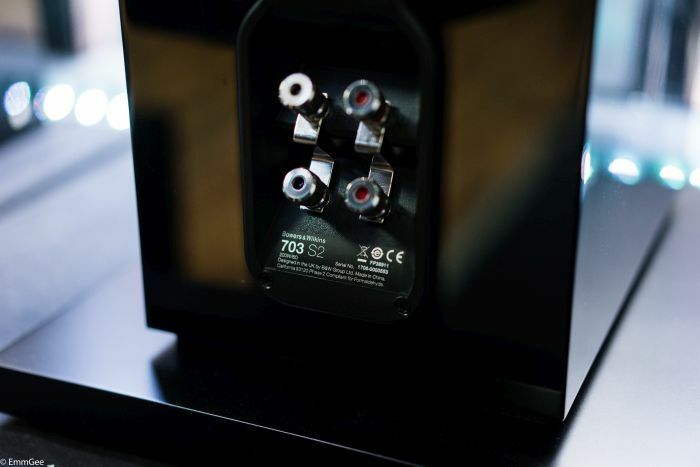 With the need for quality amplification in mind, we thought we’d set Naim’s £2k Uniti Atom one-box media player/amp the job of driving our 705s. We were very pleasantly surprised. The music sprang rich, solid, full and remarkably clean from the speakers, with a much bigger soundstage than we were expecting. A bit easier to drive than the outgoing model, so it appears, plus sweeter sounding and better timing. Insightful with instruments and vocals locked in space, lets acoustic music wash over and melt you into the sofa. If you’re in the mood for something more aggressive, you’ll be leaping about the lounge like a crazy lounge leaping thing! They're a lot of fun too. 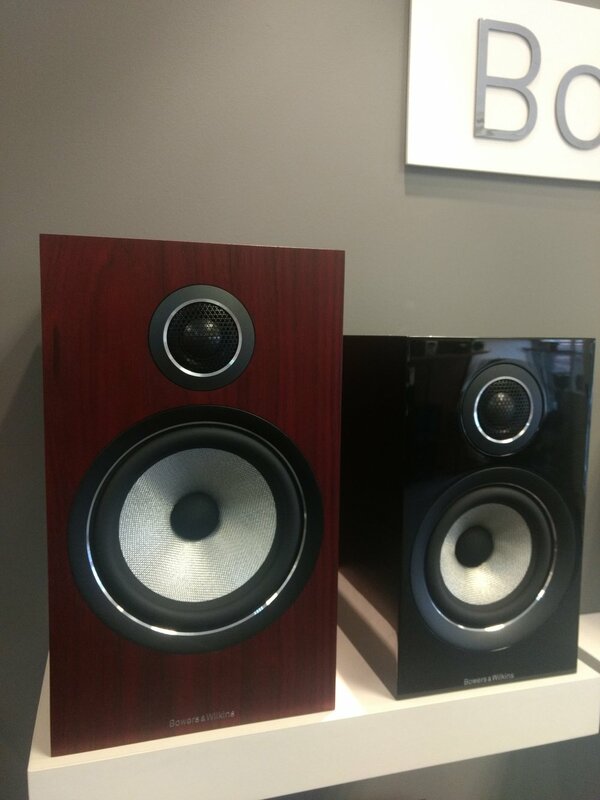 Would I have these in my home? Yes. In white please Father Christmas. 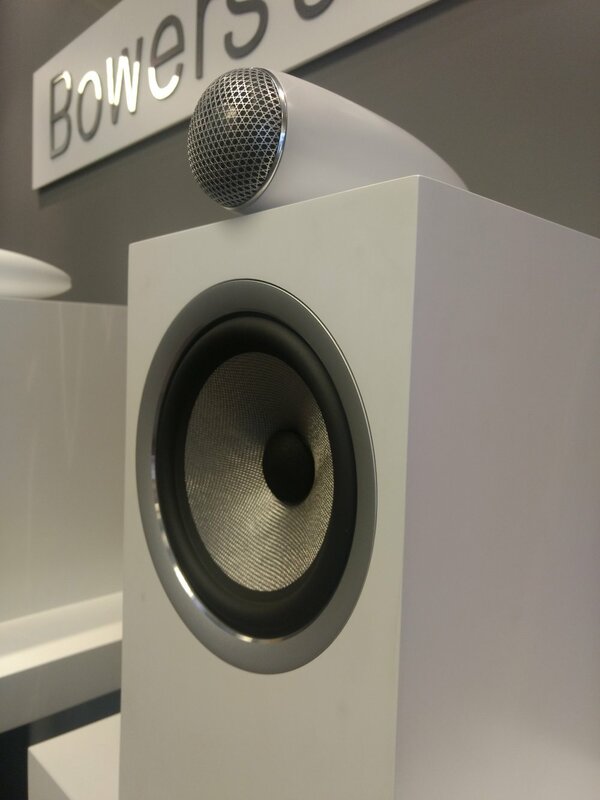 Bowers & Wilkins loudspeakers are available in the following branches of Audio T: shops, Brentwood, Brighton, Bristol, Cardiff, Enfield, Manchester, Oxford, Portsmouth, Preston, Reading, Southampton, Swansea and Swindon. 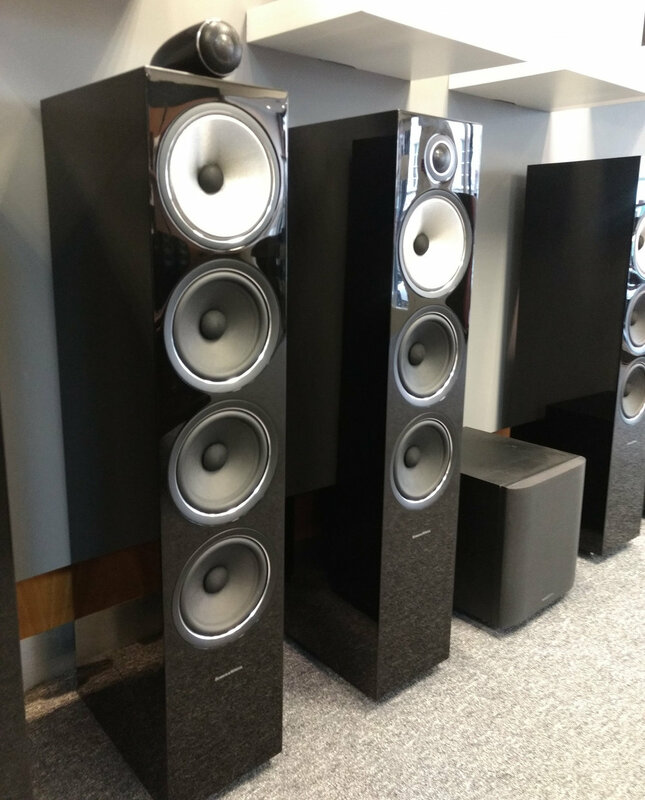 Bowers & Wilkins 800D3 series are only available from Audio T Cardiff.